Discusses the Iliad's depiction of the Trojan War and the way the Iliad was used to rediscover Troy. Includes a bibliography for further reading. Troy is unquestionably one of the most famous and legendary cities of antiquity, yet it is also the most mysterious. 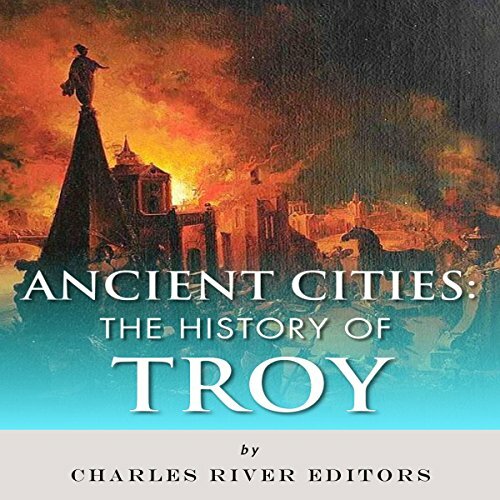 While ancient cities like Rome and Athens survived, and the destruction of others like Carthage and Pompeii were well documented, the fame of Troy rested entirely on Homer's epic poems, The Iliad & The Odyssey. The poems were so famous in the ancient world that Augustus had Virgil associate Rome's foundation with the destruction of Troy and Aeneas' own odyssey in the Aeneid. Augustus went so far as to have a new settlement, New Ilium, built in the region. While the epic poems have been read for thousands of years and are regarded among Western literature's most important, their depictions of the Trojan War between the Greeks and Trojans clearly included fictional elements. As a result there has been much historical debate over whether the Trojan War actually happened. Up until the 19th century, many scholars merely regarded it as an ancient myth, but when Heinrich Schliemann used Homer's descriptions to guide his excavations, he found ruins in Western Turkey of several ancient cities built atop each other, with the oldest dating to the 12th century BC. Further excavations have found early settlements on the spot dating as far back as 3000 BC. Interesting but not a ton of detail. it was an interesting book to listen to but didn't go into a lot of the detail that I would have expected.